Motul Competition And Performance Products - Circle Track Supply, Inc.
MOTUL sees each car manufacturer's approval as the technical start point in achieving a high quality, high performance oil that is universally approved by all automobile manufacturers. MOTUL's lineup consists of only top grade, premium quality oil products that are enhanced with additives, and developed using MOTUL's extensive technological advancements in the racing arena. MOTUL's products are also geared towards the average consumer. High performance products formulated by MOTUL complies with the ACEA and API industrial standards. 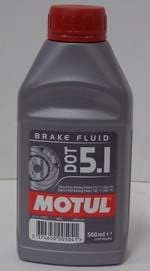 Products by MOTUL are economical and exceed the performance standard of the standard recommended oil.